The tennis facilities should be treated with care and kept clean. Players and observers should leave with everything they brought with them into the court area. This includes any trash. The last player off the court is responsible for locking the gate. All players and spectators are expected to observe tennis etiquette. 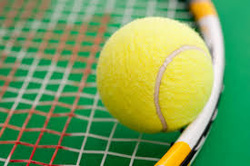 In retrieving balls or crossing courts, players will wait for a break in play. Courts are available to all HMSTC members in good standing and their registered guests. When others are waiting, play should cease on the hour. If a set is near completion, the players may, with the permission of those waiting to play, finish the set. Both are under the supervision of the Tennis Chair, Team Captain, or other designated person. Other rules may be waived during tournament or league play. Courts are reserved during team play. Guests must register at the guard’s desk. The guest’s name must appear with “guest” written beside it on the sign-in sheet at the guard’s desk. A guest fee is applicable. Any player under 18 years of age, unless working full time, is considered a JUNIOR. Adults have preference in using the courts after 5:00 PM and on weekends. This does not preclude Juniors from playing when courts are not in use. Only smooth-soled tennis shoes are permitted on the courts. ROLLER SKATES, ROLLER BLADES, HOCKEY, and SKATE BOARDS are not allowed on the courts at any time. Bare feet, sandals, etc. are not permitted. Children will not be permitted to disturb players. Pets are not permitted on the courts at any time.